2018 marks the eightieth anniversary of momentous events in the history of Nazi Germany, the violence of Kristallnacht, the Anschluss (the incorporation of Austria within Germany), the German takeover of the Sudetenland, and the inception of the Kindertransport, all of which took place in 1938. Each of these episodes was a landmark in German, British and Jewish history as Europe moved towards the outbreak of war and as German persecution of Jews developed and culminated in a policy of extermination. Our panel of three experts, Mary Fulbrook, Nicholas Stargardt and Jennifer Craig Norton, will explore how these events unfolded, analyse their historical significance and ask, how we should remember them today? Mary Fulbrook is Professor of German History at University College London, her most recent publications include: Reckonings: Legacies of Nazi Persecution and the Quest for Justice (Oxford University Press, 2018) and the Fraenkel Prize-winning A Small Town near Auschwitz: Ordinary Nazis and the Holocaust (Oxford University Press, 2012). Nicholas Stargardt is Professor of Modern European History at the University of Oxford, his publications include: The German War: A Nation under Arms, 1939-45 (Bodley Head, 2015) and Witnesses of War: Children’s Lives under the Nazis (Jonathan Cape, 2005). Jennifer Craig-Norton is a British Academy Postdoctoral Fellow at the University of Southampton, her doctoral thesis explored ‘Contesting Memory: New Perspectives on the Kindertransport’. 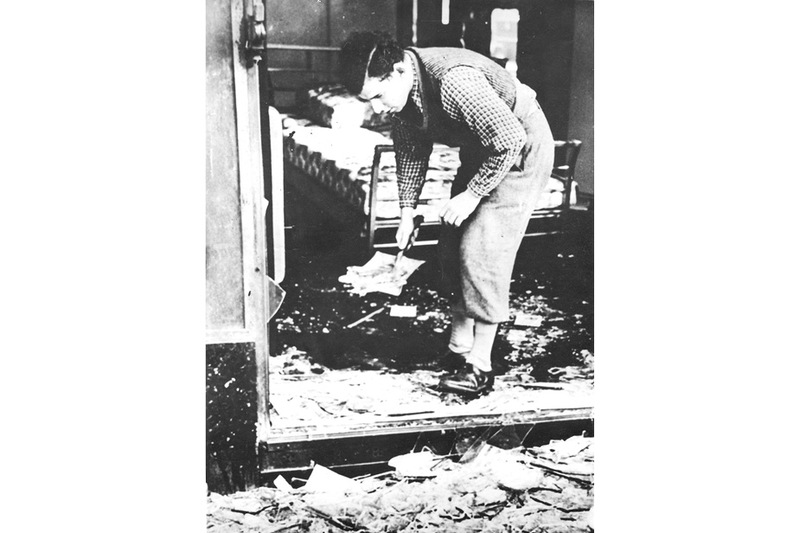 Image: The clean-up of Kaliski and Co., Berlin after Kristallnacht, courtesy Wiener Library Collections. The ‘1938 in Retrospect’ and ‘German Citizenship’ lates are held with the support of the Second Generation Network and the Pears Institute for the Study of Antisemitism.